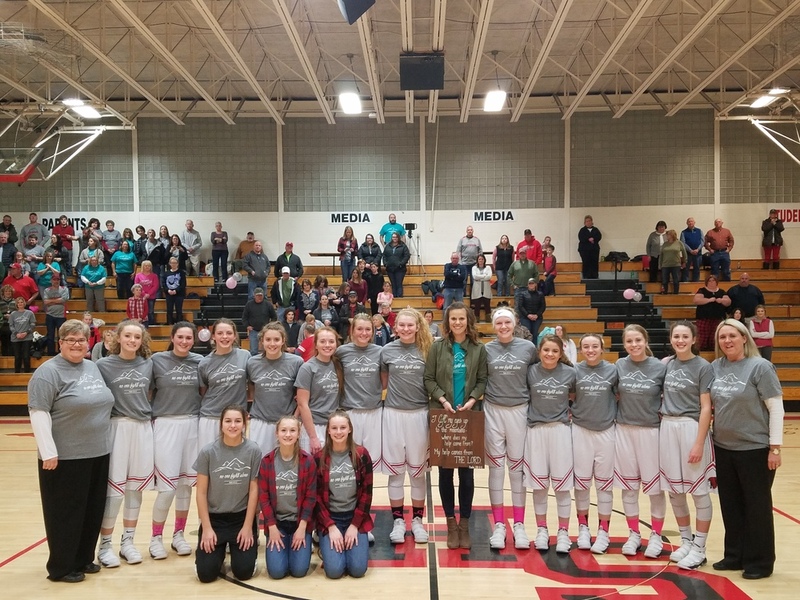 The Lady Redskins would like to thank everyone who played a part in helping raise money for "Hoopin' for a Cure." It was wonderful to see the community come out and support such an amazing young woman. We raised almost $2,400 for Megan Buxton Thompson. A special thanks goes out to Mike King, the winner of the 50/50 drawing. He graciously donated the entire amount to Megan. Once a Lady Redskin, always a Lady Redskin- No One Fights Alone!! !